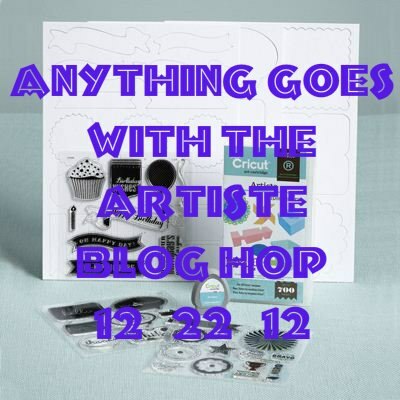 Welcome to our December Stamp of the Month Blog Hop! This is our last Stamp of the Month Blog Hop for the year. Can you believe it's December already? 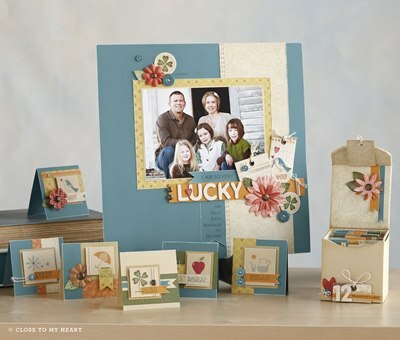 This is truly a versatile set that you will be using all year round for many different projects and holidays. If you came from " Pricilla " of " Pricilla's Paperie" then you are in the right place! I chose the 'tis the season stamp out of this stamp set. I decided to use a technique I had not done in a LONG time.... heat embossing! I stamped the stamp in a Versa Mark stamp pad. Versa Mark is like a glue that helps the embossing powder stick, and it can be heated. I chose Silver Tinsel powder by a company called Stamp-n stuff. (got it at my local craft store.) After I embossed the card, I decided I liked it the way it was, and just added some ribbon to finish it up. My stamping got a little crooked, but I am ok with that. I think it gives the card a little character. 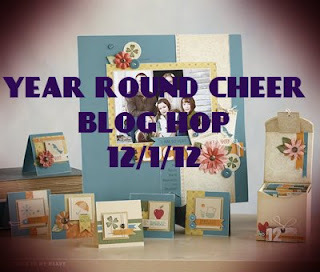 Your next stop on our Year-Round Cheer blog hop is " Marcia " of " Kosanke Cards". to add easy depth to your stamped images. Tray so this is a project worthy of gift giving! be your choice to perfectly coordinate with your home decor. 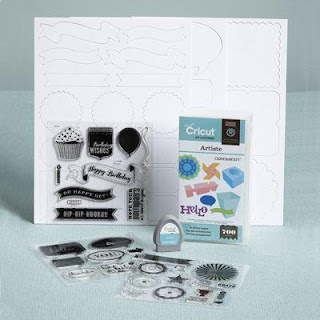 TWO Year Round Cheer Event Calendar Kits - Just $55 - best value! and the absolutely adorable December SOTM! your December SOTM with your kit!